Despite a growing fleet of competition, there’s still no other space dogfighter with a vacuum quite so atmospheric as Elite: Dangerous. Good news, then: Frontier’s crowdfunded sequel is getting a new PvP mode. It’s acronymed CQC and due sometime this year on PC. Want more Elite: Dangerous? 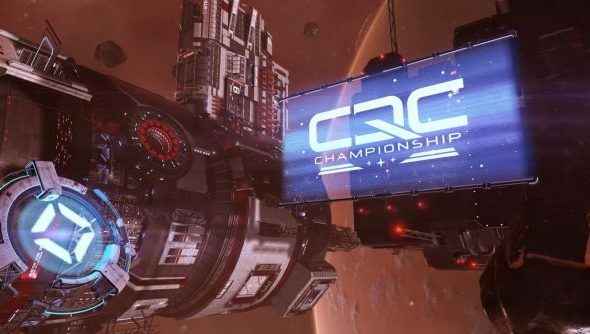 Here are the best Elite: Dangerous mods. The Close Quarter Championships are, we’re told, the “ultimate 34th century gladiatorial contest”. Players pick from the Sidewinder, Eagle or new Federal Fighter, fine-tune their loadouts, and fight in custom-built arenas – where they can earn XP to unlock new weapons, modules and abilities. The new mode was announced at Microsoft’s E3 conference, and will come to Xbox One first in July – although Frontier have said it’ll arrive on PC and Mac before the end of the year. The last update to come to Elite: Dangerous was Powerplay, and introduced factional fisticuffs. Have you piloted since then?